There is just something about the Original Fergie Special Jiggin' Spoon's seductive fall, combined with the rattle of faceted glass beads against the brass clacker assembly that has established a reputation for this bait as a big fish bait and tournament favorite in the Mid-West. This is an outstanding tool for targeting big, deep water fish, providing arm wrenching strikes from the big boys on the block. 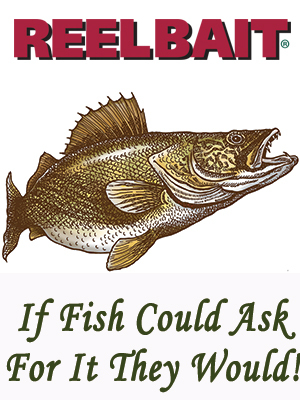 A superb rattling and jigging spoon for walleye, largemouth bass, striper and all other game fish. Just think of it as ringing a fish's dinner bell! Monitor colors and photographic angles may cause variations. Actual color may vary with each batch. This is one of my most productive colours and the contrasting silver/gold is, I believe, the reason why. The silver flash is indicative of shiner or minnow flash while the gold prism and chartreuse beads suggest perch or young carp. Therefore, this Fergie is one of the first colours I tie on at the end of the day.